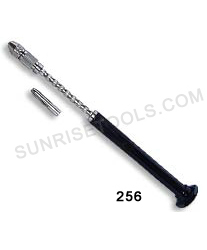 Description :- This mandrel is made from high quality steel and is tapered from left or right bore. Available in standard size of ½ inches and well finished. 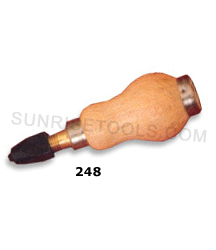 245 Mandrel tapered left or right bore, size 1/2"
Description :- This is great tool for drilling- reaming and various other applications because the barrel turns by twisting the knurled collar. 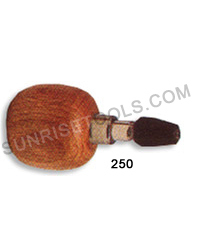 Wooden handle is comfortable to use over long periods. 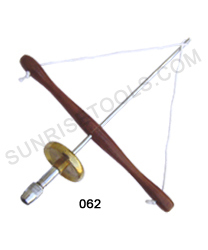 Description :- The rounded wooden handle used by Jewelers, provides better control and is more comfortable to use. 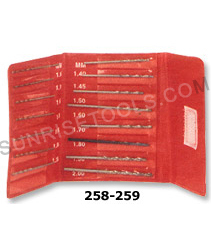 Accommodates standard milgrain tools. 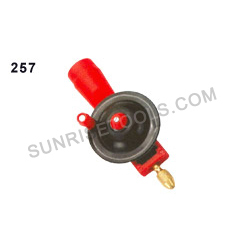 Ball shaped wood swivel handle fits palm of hand, making it useful for setting & reaming. Description :- The rounded wood handle used by Jewelers is very useful for setting, reaming, tapping, beading etc., when making Jewelry or gem setting in Jewelry. 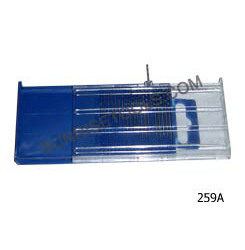 Description :- This handy pearl drilling vise is excellent tool for holding all popular sized pearls or beads securely for drilling purpose. 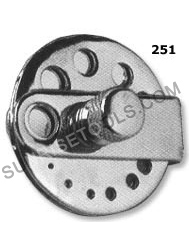 Also provide Quick clamping and releasing action. 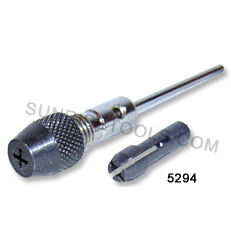 Description :- Adaptor pin chuck is commonly use with miniature drills. 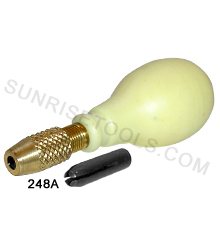 Lock this adapter in chuck to convert it for precise drilling. 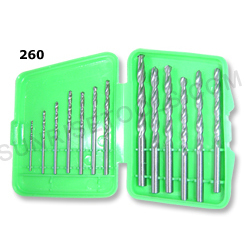 5294 Adaptor pin chuck set, hold drills up to 2.2mm shank 3/32"
Description :- This product range is made up of a cast iron frame with gear and pinion teeth machine cut and double pinion gears for performing a smooth operation and proper functions. 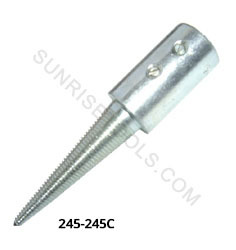 To make an easy and convenient use of these products a three jaws chuck is used for firm gripping. 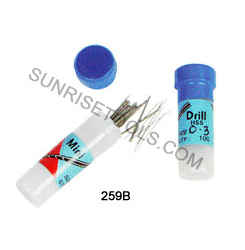 Description :- Perfect for quickly drilling small holes. Sliding Spiral allows for fast bit spinning action. Pin vise holds micro drill bits. 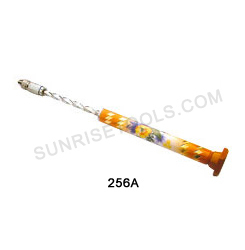 Description :- This Drilling tool is made from aluminium with extra collet. Easy to use and durable. 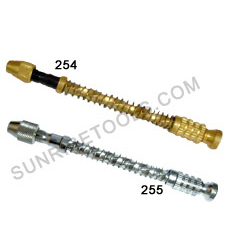 Description :- Presenting the PCB drilling brass that is not only straight and strong but also is made of such a material that keeps it in shape year after year. 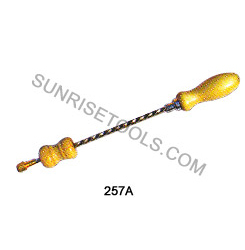 256A Drill yellow design brass 7"
Description :- A great high speed steel twist drill 15 piece in a plastic pouch. 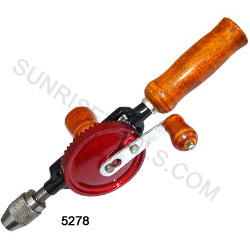 It has sharper twisted blade that helps to twist Drill holes easily, quickly and accurately. 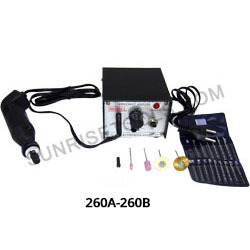 Description :- This electric drilling tool comes with 200v adaptor and ideal for multipurpose work for all kinds drilling and polishing jobs of jewelry.